There is no doubt that the death of a loved one is a devastating event. It is one of the most painful periods of a family member’s life. It has, without a doubt, the potential to adversely affect the life of the people who are left to mourn the loss for an extended period. It is difficult to deal with the loss of a loved one in a road accident, but it is even more difficult to deal with the loss when it is caused by the action of another person. Yet the law makes a provision of death by dangerous driving compensation as a way to help try to cushion the effect of the loss. Truth is, no amount of compensation can bring back a life. But, it is important to make a death by dangerous driving claim and allow it to be professionally dealt with. This fatal accident claims guide is written to help people in this situation understand their rights under the law and get the compensation they deserve. The guide will answer most of the questions that normally are asked when talking about dangerous driving accidents and compensations claims. It is very comprehensive and we want it to be very useful for you. You are free to contact us if you need further questions answered. Our contact details can be found at the bottom of the guide. A guide to claiming for a death caused by dangerous driving. Death by dangerous driving due to speeding. Death by dangerous driving due to intoxication. Death by dangerous driving due to texting. Other common causes of death due to dangerous driving. Claiming for a death by dangerous driving at work. Claiming for a death caused by dangerous driving on public roads. Death by dangerous driving facts and statistics. Who can claim for a death caused by dangerous driving? What to do if a loved one has been killed due to dangerous driving. What can be claimed for after a death caused by dangerous driving. No win no fee death by dangerous driving claims. How much can I claim for a death caused by dangerous driving? How to start a claim for a death caused by dangerous driving. 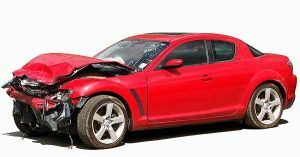 Why choose us as your claims service for a death by dangerous driving claim? The issue of dangerous driving is very serious and should never be taken lightly. There is no doubt that this guide will help you with your claim, so you have more information on of what to do next. The guide is divided into sections, with each section answering a specific question about dangerous driving compensation claims. In this guide, you will start to understand the different causes of death by dangerous driving, which include speeding, intoxication and texting amongst many. You will also get some useful information about making claims at work or for fatal accidents on public roads. we have made a list of what is claimable and how much compensation for death you could receive. In fact, you will find a pay table highlighting the ranges of compensation that is possible for the claimants further on in this guide. Towards the end of this guide, you will read about our No Win No Fee arrangement which is one of the initiatives we have taken to help those who may be in need of our service but cannot afford it. So, nobody is left out. Even though it is not our desire for you to lose your loved ones, we want to make sure that the pain and suffering you are experiencing will be well compensated. You can get in touch us using any of the contact channels suitable for you. You can find our contact details in the last section of this guide. Speeding is one of the most common causes of death on our roads across the UK. speed limits. When speed becomes excessive, there is a greater chance of an accident which could claim lives. For example, a car which is driving too fast could veer off the road, hit pedestrians, hit a stationary object or even summersault as the driver loses control of the car, causing total devastation and destruction to many people’s lives. It is within your right to make a compensation claim if the life of your loved one is lost as a result of speeding on the road. Make no doubt there will be an investigation as to the cause of the accident and if speeding is confirmed, then a claim can be made against the guilty party. Your solicitor will analyse the situation and check the validity of your claim. You can contact us for professional free advice if needed. Intoxication has been found to be a major cause of death by dangerous driving. People get intoxicated when they drink excessively before driving. For example, it is not uncommon these days to see people driving away from nightclubs, bars and pubs, in a drunken state. Unfortunately, the end result for this behaviour is dangerous driving which could lead to death. You can claim compensation for the death of your loved one if the death is caused by dangerous driving due to intoxication. If the case of intoxication is established, a compensation claim can be taken against the drunk driver. We can assist you to build up a solid case in this regard. Contact us for free advice regarding this section of the guide or any other that you and your loved ones have suffered from. Death by dangerous driving due to texting and messaging started increasing with the rise of social media all over the world. It is no longer uncommon to see young drivers texting and chatting even as they drive on public roads. This will cause a distraction to the driver and the end result is a loss of concentration which could lead to a fatal accident. However, claiming compensation for death as a result of texting could be tricky as it will require concrete proof. If the investigation reveals that this is the case, a compensation claim can be taken against the driver that caused the death of the victim. Your solicitor will be there to help build a viable case after investigations have finished. Dangerous Overtaking: Some drivers do not know when to overtake and when not to. Illegal overtaking is a form of dangerous driving which could lead to death. Driving Vehicles Not Fit for the Road: Some vehicles are not roadworthy or have serious issues. Such as break problems, steering problems, headlight issues etc. Ignoring Traffic Warnings and Lights: Vehicles not stopping when required to stop could cause a head-on collision. Aggressive Driving: This is a dangerous driving that is a threat to other road users. It could easily lead to death. Effects of illegal drug consumption on the driver. There are just too many causes of death due to dangerous driving to mention in this guide. However, it is within your right to make a compensation claim for the death of a loved one as a result of dangerous driving. Your solicitor will help you build a strong case. You can contact us for assistance with this at any time. It is well within your rights to claim for the death of your loved ones, as a result of dangerous driving at work. For example, if a family member was to get crushed to death by a driver who works with a bus company, then you can make a claim. at work, then you can make a death by dangerous driving compensation claim. We are here to help you pursue your compensation claim case, you can contact us for free advice on what to do in this situation. There is no doubt that public places should be safe for everyone. When we talk of public places, we mean places people often visit like the clubs, malls, stadiums and even hospitals. If there is an issue of dangerous driving that leads to death in a public place, the liability falls on the owner of the place or the operator. It is important to note that it is the duty of the operators of any public place to ensure safety for everyone in the facility. Your solicitor will check to see the validity of your claims and take it up on your behalf. Dangerous drivers have caused accidents resulting in death many times when their car or vehicle has hit the pedestrian as pedestrians have no protection. If this type of accident has happened to a family member or loved one contact us today and we will give you free legal advice as you could claim compensation for many different things that you might not know about. recorded offences reaching as high as 449 in 2016. When it has to do with the death of another person like a loved one, not everyone is entitled to make a compensation claim. The following list is the people that can claim. The Dependents: There is a possibility that the deceased may have some dependents. By this, we mean people like the spouse, children, partner and any other person that depends on the deceased financially. Estate of Deceased: By this, we mean those businesses that may have suffered some losses due to the demise of the deceased who is the owner. Depending on the circumstances, any of the above people that fall within this bracket can make a compensation claim for the death of a person due to dangerous driving. Your solicitor will look at the situation and advise on the way forward. Collect Evidence: Do this by getting the vehicle’s registration number, you can take some photographs of the accident scene and get some eyewitness accounts if possible. Get a Medical Report: A medical report gives an opinion on the final cause of death and would also determine the kind of compensation to be claimed. Document Losses: It is important to document all losses as a result of the incident. Loses include funeral costs, medical expenses, as well as other costs incurred that would help your case. Taking the right steps after the unfortunate incident will go a long way to help your case. If in doubt of any issue pertaining to these steps, you can contact us through our contact details for some free advice. General Damages: When we talk about general damages, we mean compensation for the pains, anguish and sufferings you have endured as a result of the death of your loved one. Special Damages: These include the estate of the person that has died, for things like business and companies run by the deceased, that have suffered. They can also cover things like pre-booked holidays that can no longer be taken or weddings that have had to be cancelled etc. You can contact your solicitor for advice on what you can claim. We are available to give you some free advice if you call us now. your case becomes successful. In this case, we will take out legal fees directly from your compensation amount while you take the balance. In an event that your case is unsuccessful; you do not pay us anything. Therefore, we take all the risk on your behalf, while you are going through this harrowing time. This arrangement is beneficial, especially for those who have a valid case but may not have the funds to pay the needed legal fees for solicitors to pursue their cases. However, if you are in this category of people, you can always take advantage of the No Win No Fee arrangement and get your desired compensation. to the eventual death. We have drawn up a pay table based on the judicial guidelines from death compensation calculation. It will give you a fair indication of what to expect. If you want to have a more accurate figure you can contact us through our details at the bottom of this guide. Starting a claim for compensation for the death of family member may look difficult if you do not have the required information. However, with the right information and solicitor, starting a claim becomes easy. To start a claim, you can call us for a free legal consultation where we will check the viability of your claim. With us, everything is easy. What you need to do is to contact us through our contact details at the bottom of this guide and we take up your case immediately. It is important to note that apart from having a viable case, you also need the best solicitors to pursue your case. A good solicitor will work to get the best possible compensation amount on your behalf. Our claim service remains one of the best in the country because we have the knowledge and experience in getting compensation claims for our clients. We have handled a lot of successful cases for our clients over the years and we believe your case will also be successful when we work for you. We have one of the best customer services because we believe that you are the reason why we are in business. This is why we put your interest first before any other thing and also why we embrace a No Win No fee arrangement to ensure you do not lose in any way. We will work to get the best possible compensation for you and this means we will not leave any stone unturned in our quest to deliver the best outcome for you. Having read this guide from the beginning and having understood the issue surrounding compensation for death in a car accident, it is now time to make a move. First of all, you can make a call right away for free advice on your situation and to start a claim. You can contact us in three ways. Call by telephone on 0800 073 8804, use our web chat function or use our contact form. Be rest assured that we will get back to you immediately. Death and Fatal Accident Compensation Amounts – Find out How Much You Can Claim? Find out the full amounts of death compensation you can claim for as their is many different areas for death compensation. The NHS Link has helpful inform on coping with bereavement as losing a family member can be devastating. The Citizens Advice on what to do after a death. 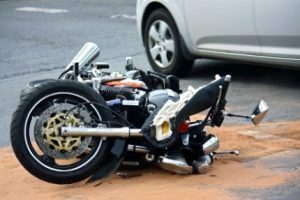 Has a member of your family had a fatal motorcycle accident find out how much compensation you can claim for. Death caused by a cycling accidents hit by a car or another vehicle find out how to claim and get free legal advice. The Crown Prosecution Service (CPS) If a driver has been found guilty of dangerous driving they could get a custodial sentence. Pedestrians can be very vulnerably if hit by a car and many pedestrian accidents are fatal, contact us for free legal advice.